200 Joule internal steel safety toecap. Solvents, mild acids and alkalis. Special slip resistant tread pattern. High quality soft water resistant leather. Part of the leading brand specially developed for catering, medical and industrial environments. 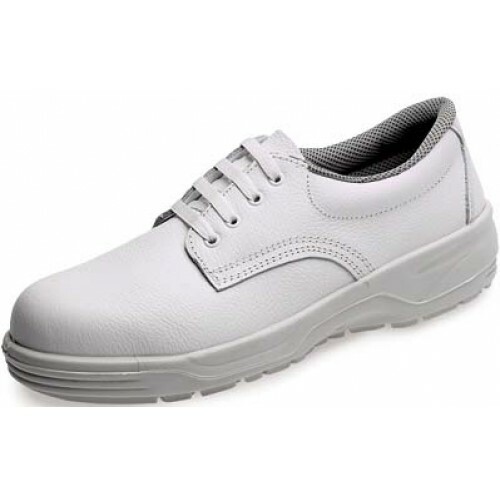 The ABS range of slip resistant footwear offers cool comfort using flexible lightweight soles and soft leather uppers. The ABS offer is available for men and women and is made to EN345 safety and EN347 occupational standards. ABS is the ideal brand to help reduce the incidents of slips, trips and falls in your environment.